Let’s talk about when a man pulls away just when things seem to be getting serious. Everything seemed to be going great. You felt positive he was going to say those three not so little words at any moment, or maybe he has said them … but now things just seem off. Something is different. He’s more withdrawn and seems to be pulling away. And it all happened so suddenly. 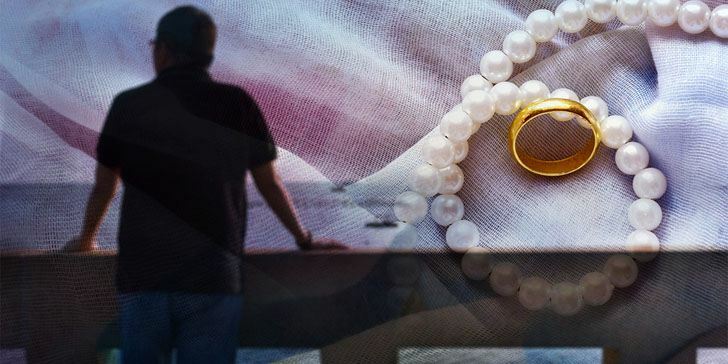 One day you were ecstatic over the relationship, you were bubbling with excitement over all the possibilities … and the next, you’re panicked at the prospect of losing him, which seems like a real possibility. First things first, women tend to preemptively panic when things seem like a bad sign … even when nothing is actually wrong! So before you try to figure out why he’s pulling away, make sure he’s actually pulling away. Give yourself a few days to see what happens. You might be surprised when things just go right back to normal. Why Do Guys Pull Away When Things Get Serious? 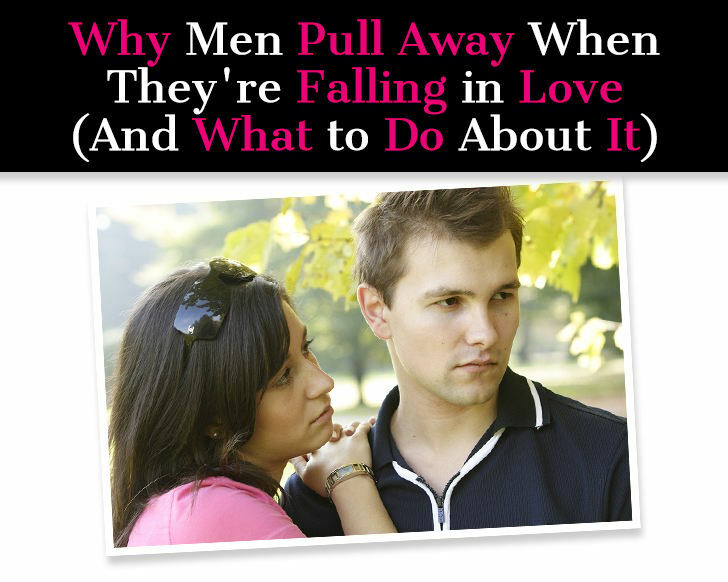 There are a few main reasons why a guy might pull away when it seemed like he was falling in love. 1. He’s afraid of losing his freedom. We all gain a lot from being in a relationship, but we also have to give up a lot. This can be scary, especially for someone who has been single for a while and is used to that lifestyle. A lot of men reflexively panic at the prospect of losing their freedom, but most get it together fairly quickly and recognize that being with the right woman far outweighs the benefits of being wild and free. I should also clarify that most men don’t necessarily want to run around and do whatever they want. Freedom is more of a psychological thing here, he likes knowing he has the freedom to do these things even if he never has any intention of doing them. 2. He needs to step out of the emotional whirlpool. Let’s face it, relationships bring on lots of heavy emotions, and most men aren’t comfortable in the realm of emotions. They don’t navigate emotional waters as easily as women do. Sometimes it just gets to be too much and he needs to step away to recalibrate. If men had their way, the only emotions they would ever experience are calm and contentedness, so anything outside of that realm can be overwhelming. 3. He doesn’t know if he’s ready for marriage/serious commitment. If he senses that this is what you want, and he’s unsure if it’s what he wants, or if it’s something he’s ready for, then he may pull back. This is just a natural male response to figuring out a problem. It’s hard to gain clarity or objectivity when you’re emotions are involved. It’s possible he doesn’t know if he wants to get married and maybe he just needs to sort through how he feels. 4. Things are moving too fast. Relationships have a tendency to start out at lightening speed, and while this is exhilarating and exciting, it’s not healthy or practical. In the beginning, you’re flooded with emotions and dopamine and the chemistry is electric and you can’t pry yourself away. But this can get to be too much, especially if it’s early on in the relationship. It’s possible he wants to step back to reset things to a more normal pace. 5. He needs to get his life in order. This is a key difference between men and woman. Most men need to be settled in their lives before they can settle down. This means he wants to be financially stable, emotionally ready, and on a career path that he’s happy with. If a guy is feeling lost, he won’t want to settle down and be in a relationship. Guys are only ready for that step when they have figured out who they are. 6. He’s not sure if you’re “the one.” Just because it all sounds good on paper doesn’t mean it’s right. That’s just the reality of love and dating. Sometimes two people just aren’t a match, and unfortunately, both people won’t usually see it at the same time … it will usually be one person who recognizes this, leaving the other broken hearted. The fact is, love doesn’t conquer all. Love doesn’t conquer fundamental incompatibility, and chemistry can’t compensate for a lack of compatibility. Your body might be saying he’s the one, but your rational mind might have a different take. What Should You Do When He Pulls Away? No matter what the reason, there isn’t much you can do about any of them, these all have to do with him, not you. But you don’t need to figure out the exact reason because the solution is the same: back off and give him space. I know your instincts are driving you to get close to him. I know you see this as a problem you need to fix. So you wrack your brain trying to find ways to win him back. You think of sweet romantic things you can do for him, you think of new ways to show him that you care and that you are the world’s greatest girlfriend. But all of this will do more harm than good. In fact, it will have the opposite effect. If he pulls away it’s because he needs space. If you want to show him you’re an amazing girlfriend, then don’t put your needs above his. You have a need for validation, or a need for him to open up to you, but he just can’t right now. So respect what he needs. He needs space. Men know this isn’t easy for most women. So if you’re able to give him that space, without being resentful or passive aggressive about it, he will come to love and appreciate you even more and the relationship will be even stronger. What should you do while you’re giving him space? Focus on yourself. Focus on being happy. And do not obsess over the relationship! This is the worst thing you can do. You can’t control how he feels. You can’t badger him into wanted to be with you. All you can do is be your best self and bring your best to the relationship. If you haven’t been doing that, then use this time apart as a chance to re-build your sense of worth so you can be that woman. It doesn’t feel good to be around a needy, clingy, desperate person. It doesn’t feel good for men and it doesn’t feel good for women. Focus on finding your own happiness outside of the relationship. Focus on being OK with whatever the outcome is. And what will the outcome be? If you step back and give him space, then one of the following will happen. He’ll work through the issue on his own and will come back and be even better than ever. He will open up to you about what’s going on and you can both work on solving it together. He will fade into the distance. Hopefully, this won’t happen, but if he leaves and never comes back. Or if he leaves, and comes back to dump you, then leaves again, it just means he’s not ready to be in this relationship. Or maybe this just isn’t the right relationship for him. Again, you need to relinquish control here. The only person you can control is yourself. So focus on being your best self, not on changing his mind or winning him over or any of that.